Wealth Architects. Wealth Engineers. Tax Strategists. Estate Attorneys. Techies. Designers. Writers. Researchers. And more. 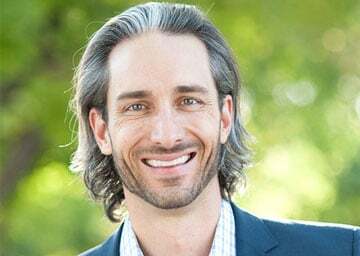 Garrett Gunderson is Founder and Chief Wealth Architect of Wealth Factory, and New York Times bestselling author of Killing Sacred Cows: Overcoming the Financial Myths That Are Destroying Your Prosperity. And he’s personally helped countless business owners create efficient wealth strategies that fit their unique strengths. Norm Westervelt is Chairman of Wealth Factory. Norm has worked side by side with Garrett for over 6 years, as CFO and COO. With an MBA and 20 years on Garrett, Norm brings experience and operational excellence to Wealth Factory. 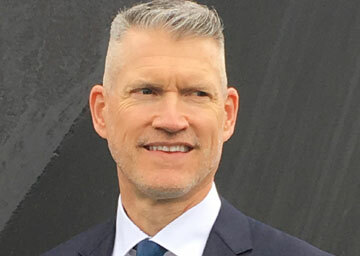 He ran a $100 million company as a CFO in his 20's, bought into and grew a manufacturing company, then sold it, and became the business consultant that Garrett eventually hired on to run Wealth Factory's long term strategy. Interview with us for 6-12 months, complete our required reading list, and attend our events. Work on our own personal finances so we can see how knowledgable they are in their area of expertise, how they stack up results-wise against our existing team, how good they are at teaching, and how they do business. Share the same core values of entrepreneurship, production, prioritizing cash flow, knowledge, building a strong financial foundation while eliminating unnecessary risk, and a wealth architecture around the values and goals that are truly important to our clients instead of a cookie-cutter retirement dream that tells people to shrink back, delay, and defer until they're too old to work. Wealth Factory's mission is to help 1 Million Entrepreneurs and Business Owners build their own Wealth Architecture by 2020. We're committed to helping entrepreneurs keep more of their money by increasing monthly cash flow without having to cut back, budget, take on more risk or increase sales. Disclaimer and Waiver - Wealth Factory, LLC®, its owners, officers, directors, employees, subsidiaries, service providers, content providers and agents (referred to as "Wealth Factory") are not financial or investment advisors and not licensed to sell securities or investments. None of the information provided is intended as investment, tax, accounting or legal advice, as an offer or solicitation of an offer to buy or sell, or as an endorsement, of any company, security, fund, or other offering. The information should not be relied upon for purposes of transacting securities or other investments. Your use of the information contained herein is at your own risk. The content is provided 'as is' and without warranties, either expressed or implied. Wealth Factory does not promise or guarantee any income or particular result from your use of the information contained herein. Under no circumstances will Wealth Factory be liable for any loss or damage caused by your reliance on the information contained herein. It is your responsibility to evaluate any information, opinion, advice or other content contained. Please seek the advice of professionals, as appropriate, regarding the evaluation of any specific information, opinion, or other content.